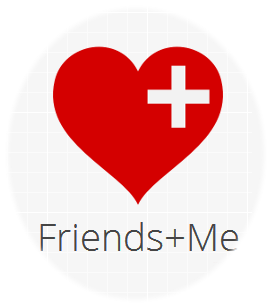 FriendsPlus.Me is a Paid / free web app which allow its users to repost status on multiple social networks at once. Friends+Me will be quite useful if you are interested to share your same status/news on all your social profiles and groups easily without making sign-in to all networks individually. 2. Make signup for free from Google+ account and accept terms, etc. 3. Now your account is created and will be redirected to dashboard. Add your google plus page/profile as a source network from where Friends+Me will pull your publicly available posts to repost on other social networks. 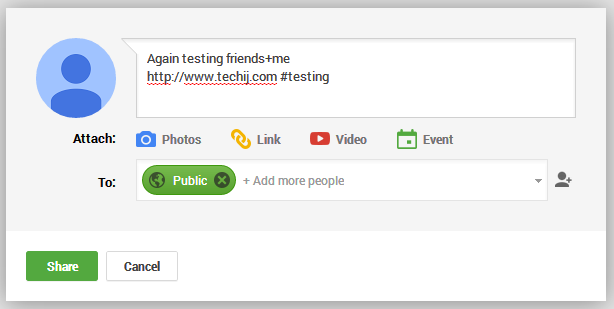 You can add your other social profiles by click on plus icon under destination networks from dashboard. 4. For destination Friends+me supports Facebook profile,group,page, Twitter profile, Linkedin profile, group, page, and your Tumblr blog. To add your social profiles like of Facebook, click Add a Profile button under facebook section and from popup accept terms and make login to facebook account in order to connect facebook profile. Google+ profile and share something new. 6. Now it will take few minutes to repost your publicly shared content, time depends on your signup plan. I have tested Friendsplus.me on facebook and twitter profiles. On facebook friend+me repost g+ status as it is in about 15 minutes but, on twitter profile they repost summarized g+ status excluding links. To check full post you must need to click fplus.me shortener redirects to original Google+ post or content shared by Google+ post. 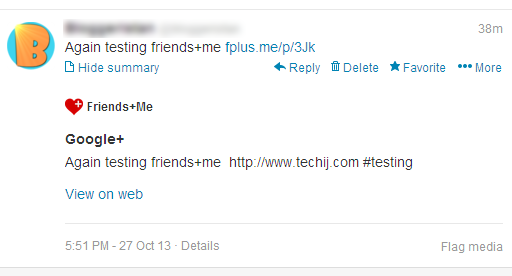 Note: By default, Friends+Me uses fplus.me shortener which provides advanced Twitter Card and Open Graph support. You can also use your own bit.ly account to shorten fplus.me link. 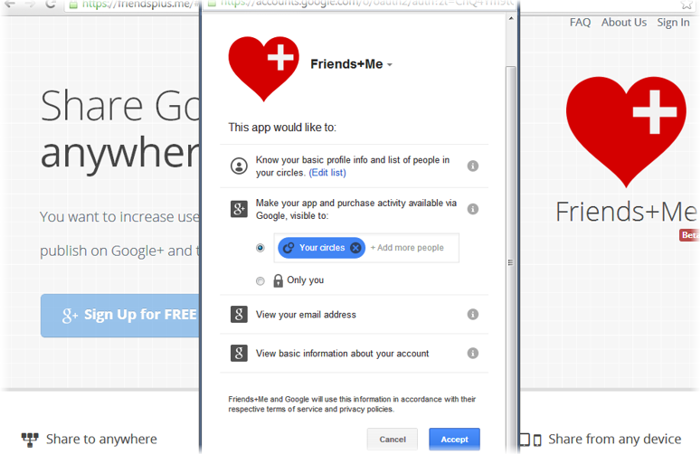 Friends+me offers three different plans for users as Free, Standard, and Unlimited. For free accounts it may take from 10 minutes to3 hours, and for standard and unlimited plans it will take upto 5-15 and 1-10 minutes to auto repost status on social platforms. By paid subscription you can unlock other useful features too. Visit Friendsplus.me for more details.